Kent Jones is far from the first writer to make the transition from critic to filmmaker, from outsider to insider, from lobber of bromides to defender of craft. James Agee directed a short, and penned The African Queen and Night of the Hunter; Roger Ebert wrote Beyond the Valley of the Dolls; the French New Wave was a cottage industry of trailblazing firebrands-turned-auteurs. But Jones is the latest, and his transition is perhaps the most unexpected. After a robust career as a critic and programmer whose voice split the difference between that of a witty conversationalist and a dense film theorist — I still remember insights from his commentary track on the out-of-print DVD release of Robert Bresson’s L’Argent — Jones is out with his narrative feature debut, Diane. He is nearly 60 years old. A wise and lyrical exploration of mortality, redemption and self-determination, Diane is a sparse character piece with a restive center. 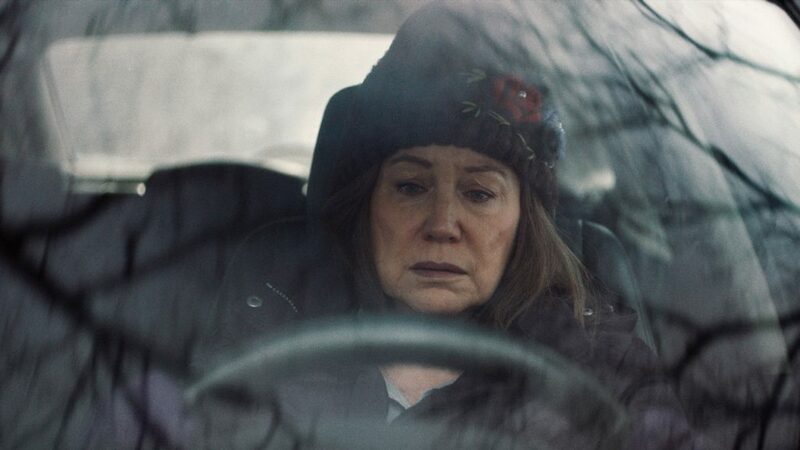 The title character, played by a revelatory Mary Kay Place, spends her days magnetically pulled between her substance-addicted adult son, Brian (Jake Lacy), and her cousin Donna (Deirdre O’Connell), who is bedridden with cervical cancer. Both could die tomorrow, and both become projects for Diane to repair or resolve. When she isn’t tending to the physically and neurologically scarred, she volunteers at her local soup kitchen, feeding the economically bereft. But her selflessness can never be confused with saintliness. Fueled, in part, by a guilty conscience from decades earlier, she has taken it upon herself to ease the burdens of everyone around her, whether they ask for it or not, at the expense of her own psychic well-being. A couple of generations ago, Diane would have been played by Gena Rowlands, mistress of transcendent untethering. As it happens, this is the role of a lifetime for Place. Her lined face a topography of hurt, her every choice felt deep in her bones — whether it’s the fever-pitched gestalt therapy she tries on her barely conscious son, or her beautifully uninhibited solo dance in a favorite watering hole — this fierce and bravura performance is her most dynamic work in decades. But Jones, for his part, is no John Cassavetes. He’s closer to a Lodge Kerrigan, or a Claire Denis, or a Kenneth Lonergan, filmmakers he’s doubtless praised over his tenure on the other side of the movie business. He favors a camera that is patient and largely unmoving, assessing his characters’ misjudgments and discoveries without formal commentary. When his technique does become transparent, it has the heft of an elegy: Scenes fade out and overlap gently but inexorably, blurring into one another like souls in transit. Diane can be as lovely as it is haunting, the latter sensation no more prevalent than in the movie’s denouement, a sudden flash-forward that feels unnecessarily cruel, even tacked-on, and certainly sour. If only we had a critic as perceptive as Kent Jones to explain it to us.